2016 Masters Open Meet. Read more to find out the results. Congratulations to all the swimmers who took part in the 2016 swim meet. Particular congratulations go to Terry Wright and Jacqueline Patel from Kings Cormorants who won top male and top female swimmer with Terry achieving the overall top swimmer award. 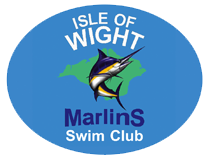 Congratulations also to two senior swimmers from West Wight, Rhys Hunt and Jade McLaughlin who won the top male and female senior swimmer awards. Terry Wright receiving the Charles Ambler trophy from Charles Ambler for Top Swimmer.